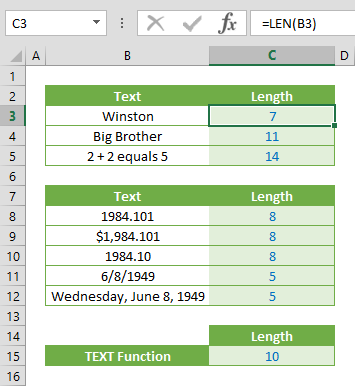 Excel uses double quote character to identify text, you need to a different approach. 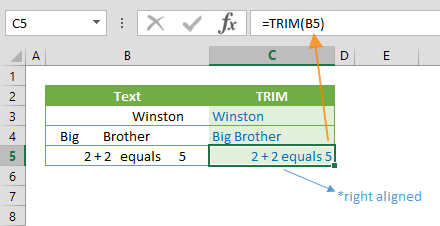 This article shows you How to use double quotes in Excel formulas in two ways: with and without a function. 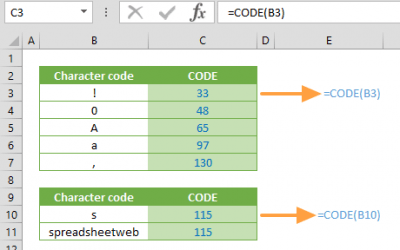 This is the generic and most commonly used approach to add double quote characters in a formula. Type double quote twice, like double-double quotes (“”). Although using double quotes twice is our preferred approach, when these double-double quotes come together with double quotes that specify a text, things can get mess. It may be really hard to count double quotes in smaller screens. 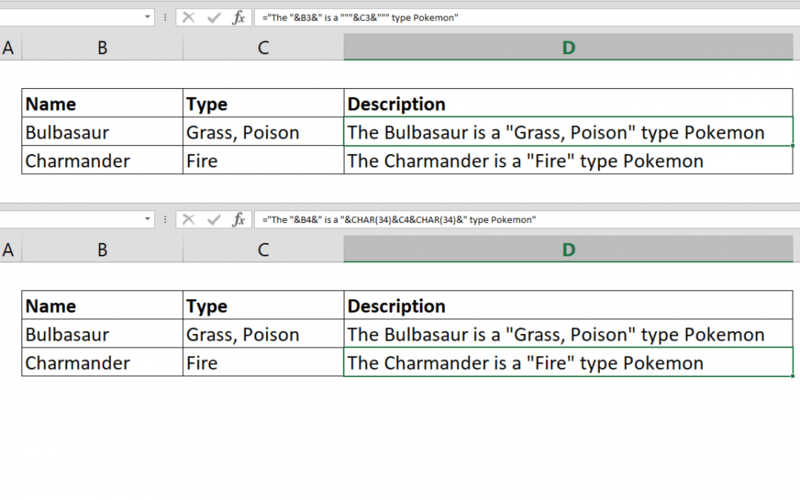 Here is an alternative way to distinguish string separators from the double quotes used for text. 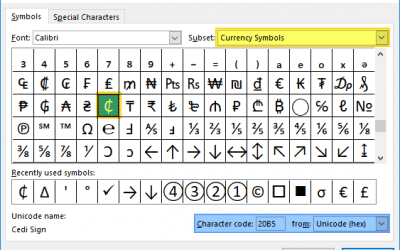 The function is called CHAR which returns the character of a specific number. 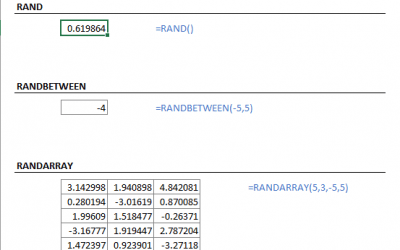 It can get a number from 1 to 255 as it argument and returns the character from your computer’s character set that matches the number. The character sets are different for Windows and Mac systems. While Windows machines uses ANSI code system, Mac machines uses Mac OS Roman. Thankfully, the double quote character shares same numeric code for both systems, 34. So you can use CHAR function with code 34 to insert a double quote.